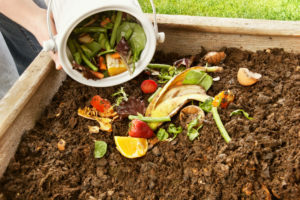 Compost not only gives your scraps a second life, but it will leave your garden looking livelier than ever! Few people realise how easy making your own garden compost is. With an old garbage bin, a wooden box or a simple heap you can recycle most of your organic household and garden waste and enrich your garden’s soil at the same time. So there is no doubt that compost is an extremely satisfying way to help the environment! These are naturally occurring in healthy compost, so they aren’t something you need to worry about too much! Microorganisms include bacteria and fungi that are compost activators, these are sourced from the raw materials you put into your compost. 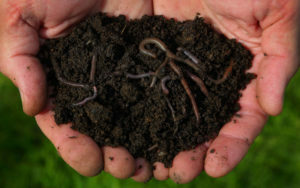 As for the worms, these will sneak into your compost naturally, and that’s why it is important for the base of the heap should be open to the soil. Nutrients are sourced from materials high in carbon and high in nitrogen. A lot of garden waste is dry, brown and woody. This material tends to be high in carbon. Soft green garden waste and kitchen scraps tend to be high in nitrogen. The ideal mix is about 20 parts carbon to 1 part nitrogen. Kitchen scraps – food scraps are great to add in, but be careful not to include lots of citrus peel or capsicum as these can upset the worms. Meat scraps can attract flies and rats, so best to avoid those too. Plant pruning’s – these are slow to break down, so insure they are cut into smaller pieces. Fresh lawn clippings– grass clippings can be added but only when they are mixed with other, courser items otherwise the heap will become too hot and the grass clippings will just turn into a messy, green slime. Fallen leaves – these are great to add in and make the garden clean up easier! Straw – this is great, the smaller it is, the faster it will break down. Human and animal hair – Did you know you can empty out the vacuum cleaner into your compost pile? Just double check that our carpet is made from 100% natural fibre. Oxygen is a very important part of composting, and thankfully it is one of the easiest too! At first your compost will be loosely mixed and have lots of air. But after a couple of weeks, the materials will settle and this when it is important to turn and put air into the pile. This can be done each time you add materials to it by mixing the compost with a shovel or stick. This is a bit of a tricky one. 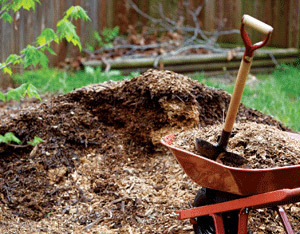 The compost should feel damp but not wet, to ensure the Microorganisms are kept alive, but the pile don’t rot. The moisture content of the heap should be around 50%, so to be safe check this each time the heap is turned. If it is too wet, add some dry ingredients like plant pruning’s, straw or fallen leaves. If the compost is too dry- simply give it a good hose. If all is well within the compost heap decay may take as little as eight to ten weeks. One of the keys to rapid and successful composting is building a big heap. The outside layer will insulate the pile and allow high temperatures to be maintained in the middle. In time, with constant turning, all parts of the pile will have been in the middle and all will be decayed, easy! Oils- The oil on foods will stop it from rotting, meaning your compost will never fully break-down, so it is best to avoid! Paper- Newspaper is best shredded very finely and thrown in with some manure, but you should avoid glossy magazine paper as this rots very slowly. Rubber- Avoid placing any type of rubber into the compost heap – it takes years to rot down. Dairy foods- Not only can these foods smell and attract pests, but they can take a long time to decompose, but egg shells are more than okay. Cat litter- Cat poo actually has many nasty pathogens that may transfer to the compost. So best bet us to leave the cat litter out of the mix. If you need advice on keeping your Brisbane garden healthy and beautifully maintained, get in contact with Nathan at Circle Maintenance, for no-fuss lawn and garden care service solutions.